At 4:00 everyone brought their kiddos in to trick or treat. 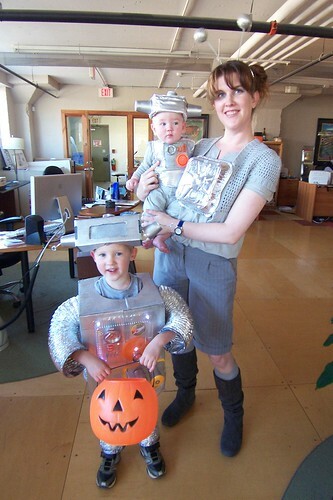 My sister, also creative director over here, dressed up her 2 boys, Charlie and Sam, as robots. She hand made the costumes with help from our mom. She used everything from an oven thermometer to little nyquil packs to create the perfectly home-made bot costume. 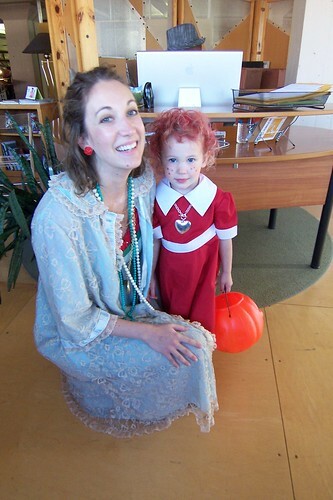 Another favorite was one of our media gals and her daughter dressed as Miss Hannigan (complete with a flask in her stocking) and Little Orphan Annie. My co-worker, Amanda, came to the office dressed as me for Halloween. 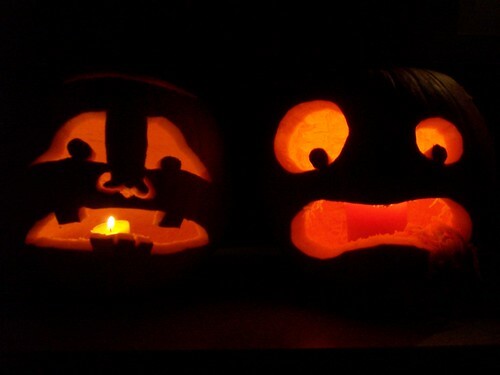 Last night Jeremy and I finally carved our pumpkins with our friend, Ashley. His is on the left, mine is on the right. Ashley carved a unicorn with a lady leg wearing a boot. You can’t see it in the dark – but my pumpkin is throwing up out of the right side of his mouth (you may have to click on the photo if it’s cropped off, like it is in my web browser). 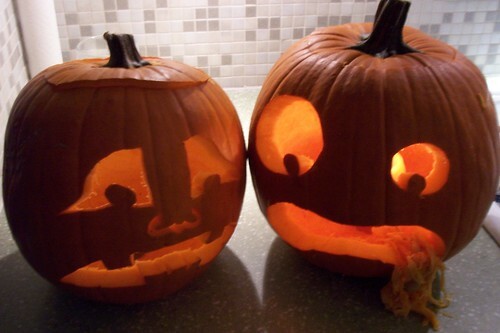 Jeremy’s pumpkin is horrified. For some reason when I was a kid carving pumpkins seemed SO hard. Cleaning out the pumpkin was just impossible. 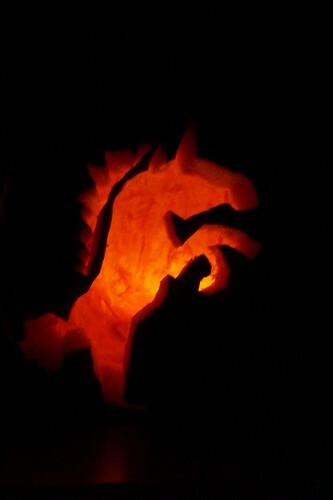 Carving through the pumpkin was even harder – I didn’t have much upper body strength as an 8 year old paired with a very dull steak knife. Now as an adult I can fully appreciate my blossomed biceps and the handy pumpkin carving tool sets (with little miniature saws that tear right through the pumpkin skin) available at wal-mart resulting in a perfectly carved puking pumpkin. In the next couple of weeks Jeremy and I are going to tackle the hallway. We need to install a new light fixture, paint and organize my closet. My closet is also the hall closet. 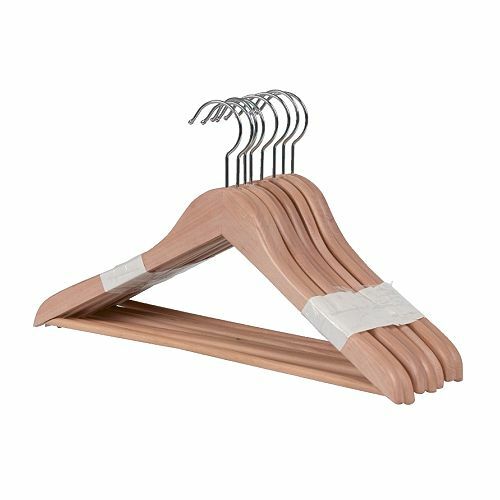 I keep my clothes color coordinated and recently purchased 100 wooden hangers (8 for $3.95 from IKEA) to hang all my clothes on. We’re going to reorganize a little so everything fits a little more efficiently. Currently everything is crammed in there and wrinkling my clothes. I decided that if I have more than 100 pieces it’s time to edit my closet anyways. 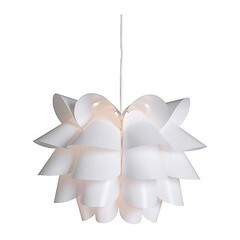 We also got the KNAPPA light ($24.99) to hang in our hallway. 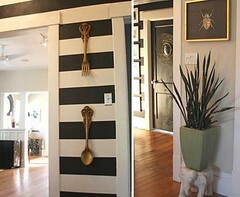 I noticed a striped hallway in a sneak peak. I love this. 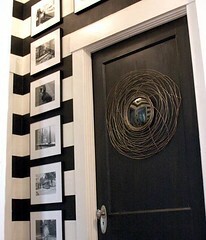 I think we could do something like this in our hallway but with perhaps with brown and cream or brown and tan instead of black and white (though I do love black and white stripes). This was an event filled weekend! 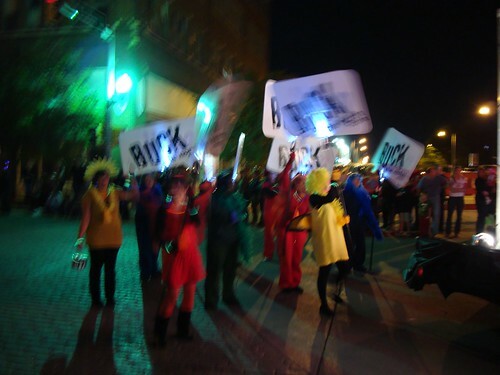 Saturday there was the annual OKC Ghouls Gone Wild Halloween parade. Our client, Buck The Norm, decided to enter the parade and I was given the task to coordinate and produce our float, costumes, etc. with another co-worker of mine. This is our float – a huge 14′ x 8′ billboard. What is “the norm”? 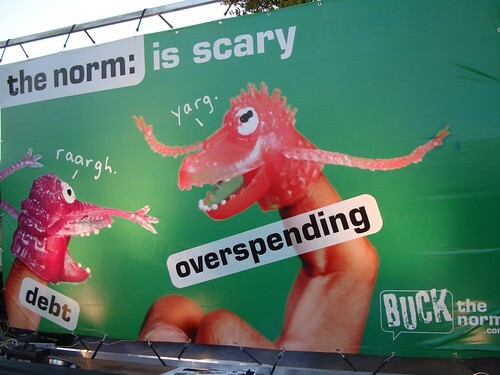 The norm is debt and overspending. Here’s an example of a norm pimp (yes, Jeremy was recruited to participate). 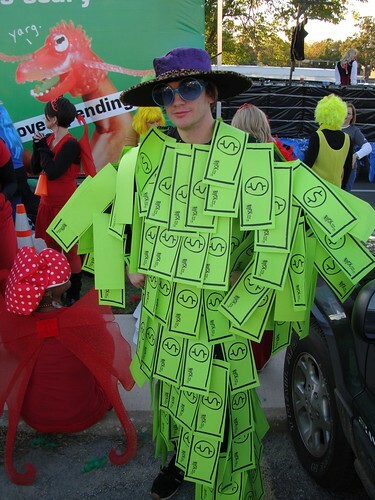 I spent hours and hours safety pinning those dollar bills onto six sweat suits. 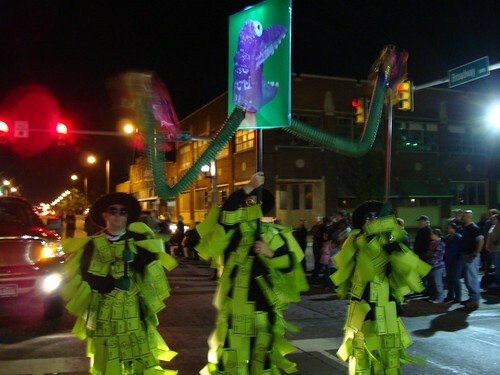 Our norm pimps were carrying the norm monsters (finger puppet = norm monster). We had 3 guys to each monster. Behind the norm monsters was the billboard. And behind the billboard we have our buckers. We had those buck the norm speech bubble protest signs made. We attached flash lights to the poles to light up the signs. 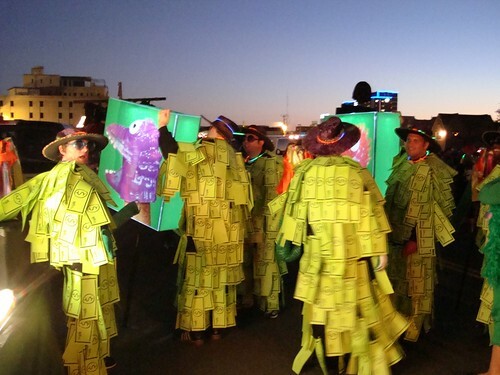 Each bucker was dressed in a solid color. The event was a success! It was a lot of hard work but it paid off. Everyone looked great and had a lot of fun.